Fresh organic pork tenderloin from the Riverford butchery. 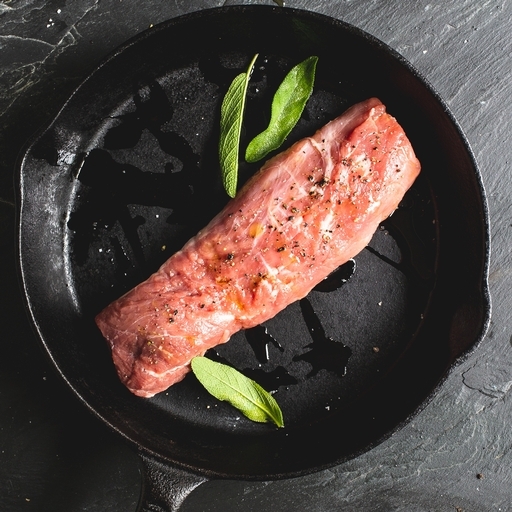 The pork equivalent of fillet steak – luxurious, lean and tender. Slice into medallions for frying and grilling, or cook whole, wrapped in foil, for a lightning-fast mini roast. A luxurious feast that’s speedy enough for weeknights. Serves 4. Preheat your oven to 220˚C/Gas 7. Season the tenderloin generously and sear it in a hot, oiled frying pan until golden brown on all sides. Transfer to the oven and cook for 15 mins, or until completely cooked through. Leave to rest somewhere warm for at least 5 mins before serving.